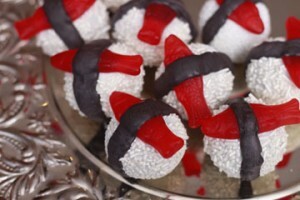 Sushi Cake Pops! 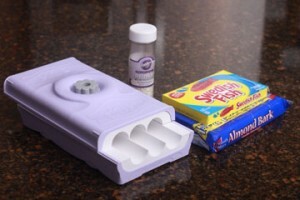 I have been making these for a while so it is time to make a tutorial 🙂 All you need is the Mini Easy Roller, some Swedish Fish, White Sprinkles, and some candy melts, and cake of course! 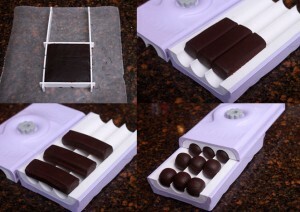 Next, dip the stick into the White Chocolate Almond Bark or candy melts, (to melt the candy melts or almond bark, just put the candy into a microwave safe bowl and heat it in the microwave on 50% power -or defrost- for 1 minute and then in 30 second increments until melted) and into the cake pop ball. 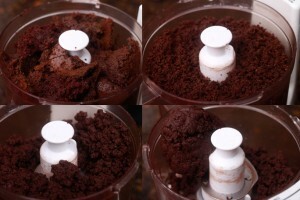 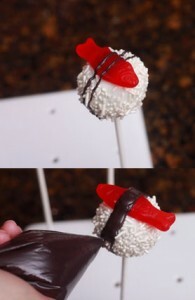 Then dip the entire cake pop into the candy melts. 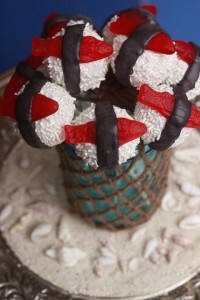 Tap off the excess and sprinkle with white sprinkles and place the Swedish fish candy right on top, all before the candy melts set hard. 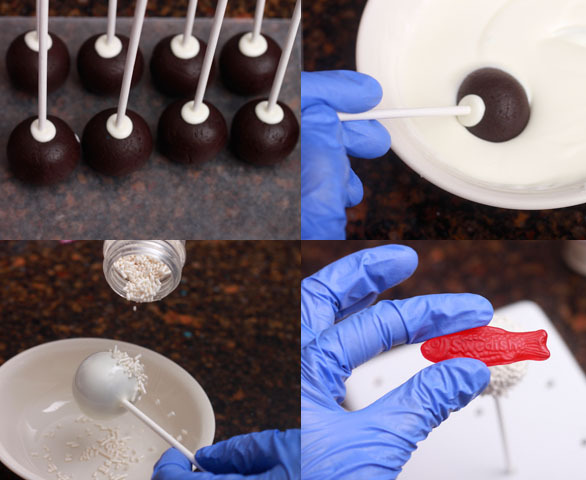 After the white chocolate has set I piped two lines over top of the cake pop and then filled it in with black candy melts. Then you can stick them in a vase or container (Or a blue mason jar in this case) – DIY fish net mason jar tutorial here.